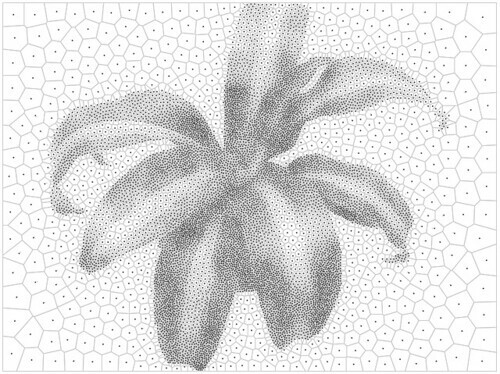 Two months ago, we introduced StippleGen, a program that can generate stipple diagrams and “TSP path” art from images, using Adrian Secord’s algorithm of weighted Voronoi stippling. 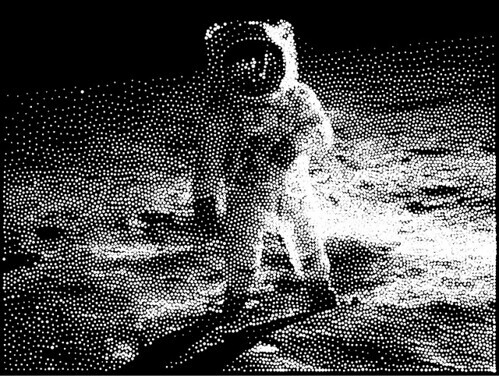 It’s a great (and free) tool for turning a photo into CNC-ready artwork, for use on the Eggbot or in other contexts. Today we’re announcing a new verison, StippleGen 2. As with the earlier version, StippleGen 2 is free and open source software, written in the Processing development environment. It comes ready to run on Mac, Windows, and Linux, and it is available for download now. StippleGen 2 comes with three new features: A gently redesigned set of controls that makes life easier on tiny laptop screens, an inverse color scheme— as illustrated above —so that you can now calculate white stipples on a black background, and comprehensive documentation on our Wiki. The controls in StippleGen 2 have been redesigned and streamlined. They are also overall a bit thinner so that the full screen (and all of the controls) can now be viewed on an 11″ MacBook Air, without reducing the size of the main display area. 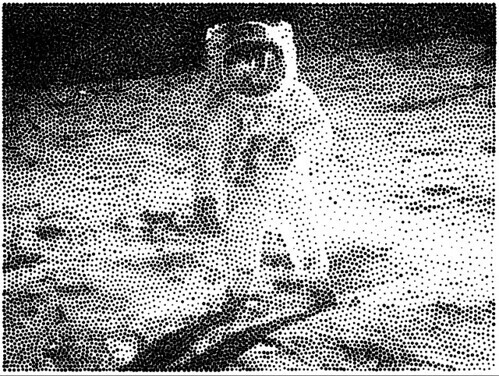 In the first version of StippleGen, the image was always computed with black dots on a white background. For most images that have a light-colored background, this is a good choice. 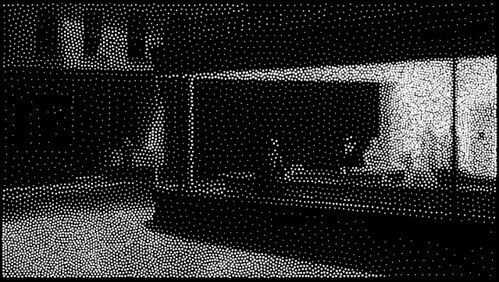 However, if you have an image with a dark background, you may find that nearly all of your stipples are used to just darken the backdrop, leaving less detail available in the foreground of the image. 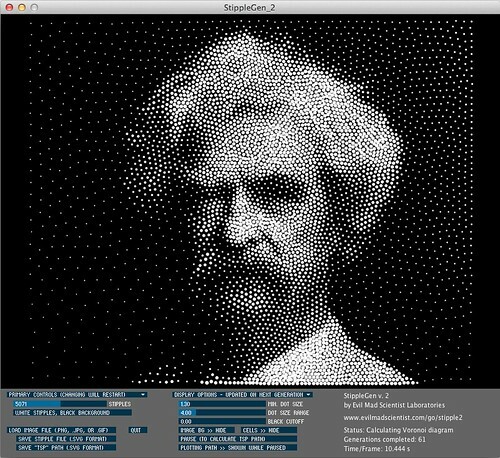 StippleGen 2 gives you the option to draw with black stipples on a white background or white stipples on a black background. 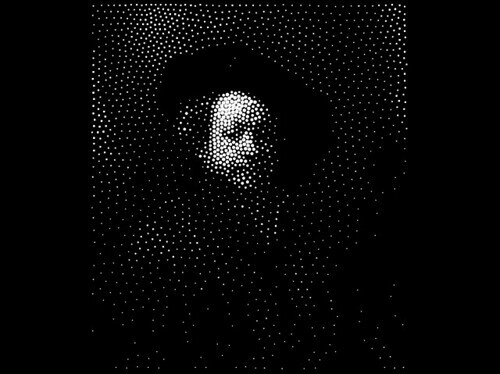 By using a dark background here, you may be able to recognize Rembrandt in just 2000 white stipples. It does, of course, look better with a larger number of points. For images with a lot of black and a lot of white, it can be hard to choose which is the better scheme. 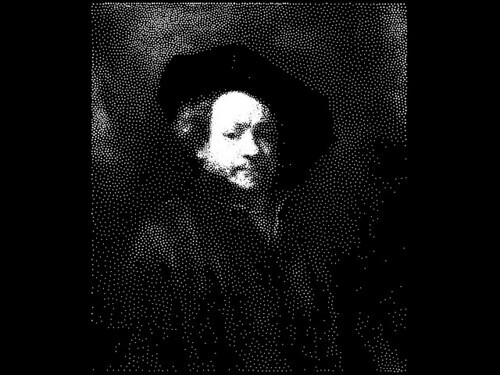 However, as this is tool to generate applied artwork, the choice is often made for you in advance. 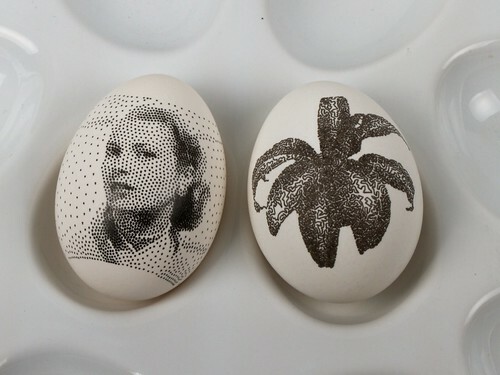 If you are drawing with a black pen on a white egg, you’ll want black stipples. 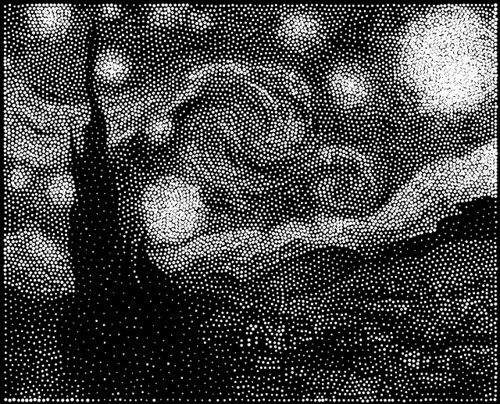 On the other hand, if you’re carving into a black panel, white stipples might be the better choice. And here are a couple of other “test images” that we’ve been running in the new color scheme. And finally, we have written up comprehensive documentation for StippleGen 2, hosted on the Evil Mad Science Wiki. StippleGen 2 is free and open source software, now available for download here. Go try it out for yourself! This entry was posted in Art, CNC, EMSL Projects, Software and tagged art, cnc, stipples. Bookmark the Permalink. Wow, that’s great. I need to try that on my CNC! Don’t suppose someone’s come out with a Linux version? Maybe I need to start dual-booting! where does the saved file goes, after pause and save? It keeps generating new visions. btw i’m using mac. solved, sorry for the last post. We’ve not managed to crash it on a Mac, and .png files normally work fine. You might try again; if you’ve found an image that reliably crashes the program, would you be willing to share it with us so that we can find the problem? beautiful, just beautiful implementation and special thanks for the excellent documentation! could you estimate how much slower the algorithm works with say (X) 50,000 points?? would a 64 bit system improve the speed? ?